The Ital Place of Reasoning has learned along with the People that poverty, crime and hard times are a Mindset. While the attributes of poverty are real and visible, the change that is necessary for things to improve begin inside the individual. We have learned that the Human Will combined with the Human mind/body can make changes almost immediately. The Rasta approach to life is one of Human Energy. This profound belief is all that is needed to turn around one’s life and the life of those around them. The Jamaican economy is full of holes that can be filled by menial jobs and tasks that don’t require a formal education, but it does require insight, belief and effort. Encouragement, examples and “reasoning” utilizing the teachings of the Law of Attraction takes the place of University Degree. The Law of Attraction is the great “equalizer” when it come to Life. Removing the despair of the impossible jobs in suits, ties and offices and the realization that there is a very good living that can happen in the “trades and services” is a welcomed revelation to those who feel lost and not welcomed to financial stability. The need for theses jobs are always there but the belief that the poor are welcomed to try and learn them, is absent. When there is no obvious opportunity, people get desperate. Desperate people do desperate things. In our regular sessions, classes of Empowerment explain the power of the Human Spirit and that success is attainable at their level. These messages become valuable and the people return to hear words that they know/feel pertain to them. Eyes light up when the Human Spirit is awakened to hope, truth and immovable Laws that can ensure our success in life. When one person succeeds in this setting, it is like gasoline and fire to the others as they see success happen before their very eyes. Many lives have been changed and Mothers crying with pride as their 40-year-old Son reports to them that they have their first real job or have started a viable business/service to make a living. This may seem small to first World people, but this little bit of success is visceral and spreads quickly to foster more of it. I need your help now. Myself and my friends who have a heart for this project have financed its existence for three years now out of our own pocket. The programme has now outgrown our capabilities to fund. Last year more than $25,000 USD was spent on classes, food, assistance, work projects to employee the seemingly unemployable. All classes are free to the people and we provide food at every session, as for many it will be their only meal of the day. The Ital Place of Reasoning is also a Counselling clinic to deal with personal/family/legal problems that can quickly deteriorate if not addressed early.  The Ital Place provides Advocacy to those who have been taken advantage of because they cannot read or write. Last year we helped a Man who was about to be swindled out of his inheritance (land) because he was not able to read/understand that he was the rightful recipient of some valuable land that was left to him. The School is desperate for a small SUV to be able to take this message to the country villages where people rarely leave their area, sometimes for their entire lives. Visits to the country side are welcomed as big events and food/potluck are arranged for a social event after classes. Very exciting. Anything new in the countryside is NEWS. No contribution is too small …. because the need is so great.